Despite the doom and gloom that has been around in the media about Bond 25 since it was announced that Danny Boyle had stepped aside from the director’s chair, as far as the JBIFC understands it EON hopes to be able to make an announcement about a replacement director very soon. Moreover, according to a number of sources, the film-makers are determined to keep production on the movie on schedule for a planned 2019 release, once a new director is in place. Since the dramatic announcement that Danny Boyle had left due to ‘creative differences’ with the producers and with Bond star Daniel Craig, there has been an avalanche of rumours and it has been difficult to pick out what is reliable and what is not. However, there have also been a number of developments of note. It has been confirmed that John Hodge, who collaborated with Boyle on the project and wrote a script for Bond 25, has also left the movie. It has also emerged that Boyle had wanted to cast Polish actor Tomasz Kot as the main villain (described in an earlier casting call as Russian or East European). According to a press release issued by Kot’s manager, the Polish star had been asked by Boyle to prepare and rehearse a couple of scenes based on the last two villains in the Craig 007 films, which Kotz indeed did (in the words of his manager) ‘with absolute pleasure’. This evidently persuaded Boyle that he had found his main baddie for the film. Interestingly, information given to the Sunday Times (August 26th) has also given a tantalising indication of just how far pre-production planning on the movie had reached before Boyle bailed out. Members of the crew had recently been in Namibia in Africa, scouting for suitable locations to build sets for a planned sequence in the Boyle/Hodge screen treatment. 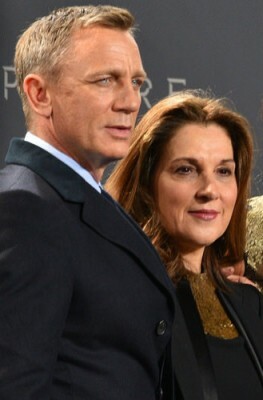 Whether the producers will now fall back on the original Neal Purvis and Robert Wade script for Bond 25 is still unknown but, as it is thought that Barbara Broccoli and Michael G. Wilson have every intention of trying to stick to the planned production schedule, it seems likely that the veteran Bond writers will be involved again in some capacity. Furthermore, an unnamed ‘source’ also commented to the Sunday Times newspaper that, as EON already have people on the Bond 25 payroll, with construction standing by and building permits secured, and ‘because of annual projections and the confidence needed to be shown in investments’, the producers will ‘try very hard’ not to lose the planned Bond 25 release date in late 2019. Watch this space for further news soon. You know the name, and you know the number. 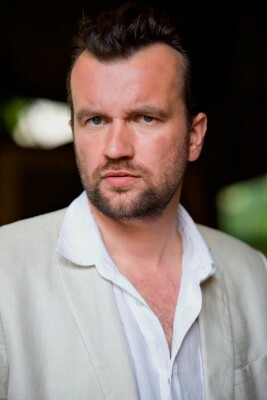 Polish actor Tomasz Kot – apparently Boyle’s choice for villain before he departed the director’s chair.